On your Wedding day we will be at your pick up location 30/45 mins prior to our scheduled departure time. Our Wedding Day Service commences when we leave with the Bride, Bridesmaids or Groom for the Ceremony. We offer the option of 2 journeys if required. One with the Bridal Party up to 4 passengers [not children under 3] Returning for the Bride if the round trip to the Ceremony is within a few miles. 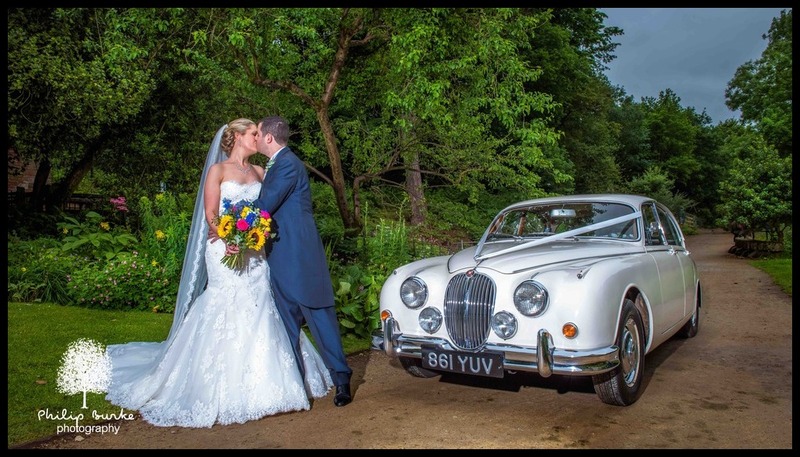 The majority of Wedding Days requires our Wedding Day Service for up to 3 Hours which after Photographs as required would conclude at your Reception Venue. Complimentary Drinks after your Ceremony & Background Music if Required – that extra personal touch. 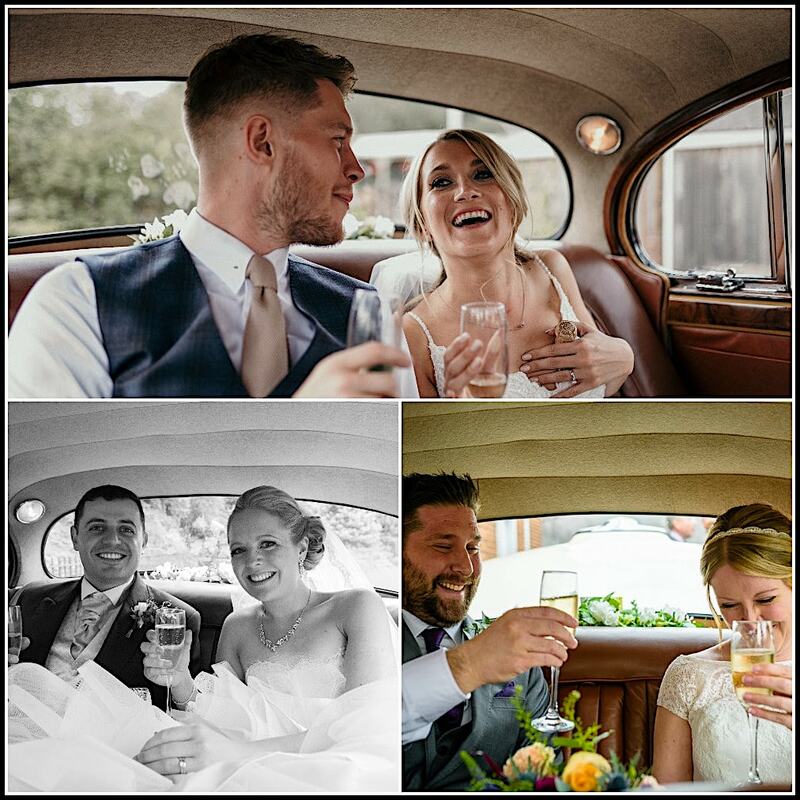 After your Ceremony on the journey to your Wedding Reception or a little time to yourselves with an optional 15/20 min Drive out if your wedding is all at a single venue if required we offer Complimentary Drinks to toast your wedding. We would also be pleased to serve you Champagne in the Car. Background Music is also an option if required. If you want any Music, something specific a favourite album or Artiste let us know in advance & we will have it ready to play on your Wedding Day. The Rates for Our Wedding Day Service are Highly Competitive whether your Wedding is Local or 50 Miles away. Covering a wide area in variable locations we provide a Personalised Quotation based on individual Wedding requirements to offer the best rate for our Service. There are no extra’s to add on. We have discounted Rates if your Wedding Ceremony & Reception is all at one Local Venue & you require our Service just to take you to your Ceremony. Also Mid Week Weddings Monday to Thursday, Late bookings within 4 weeks & some dates between November to March. Please Email or Call with your wedding details for a personal Quotation.